The ancient origins of this village are evidenced by numerous finds in the surrounding countryside such as the male bust in stone belonging to a funerary statue of a soldier datable from the VI cent. B.C. and today exhibited in the Archeological Museum in Arezzo. During the medieval period Marciano was at the centre of important routes connecting the north and the south and in particular the Via Cassia and the Via Francigena. The historic centre is reached through a small gate above which there is a tower. 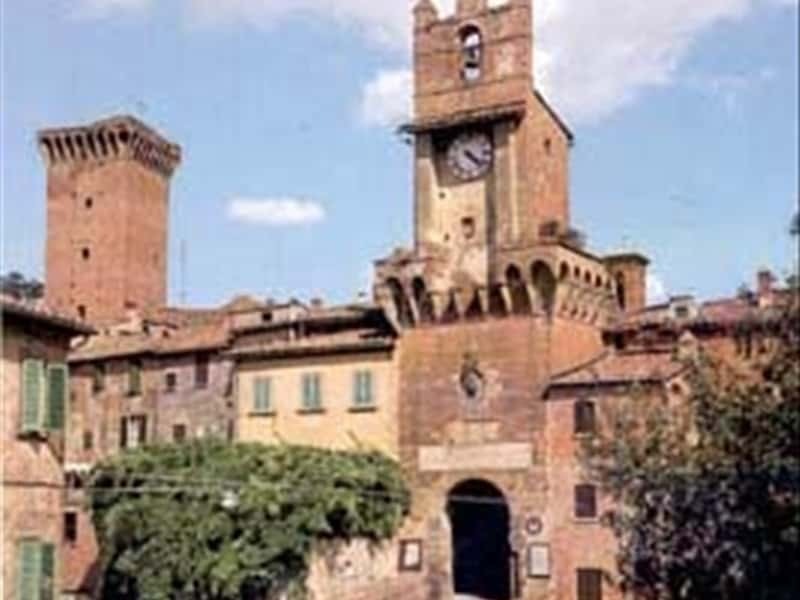 Inside, the village is dominated by an imposing Rocca (fort) in Sienese form. The Church of SS Stefano e Andrea, restructured in the XVIII cent. contains a painting by Bartolomeo della Gatta, showing a Madonna con Bambino e Santi. This town web page has been visited 22,285 times.